...discover the secrets of a Gulet Charter! With A Zadar Yacht Charter! With us. Gulets are famous Yacht Charters for their skilled chefs preparing wonderful, tasty meals reflecting local Dalmatian cuisine and Mediterranean specialties including fresh fish and seafood, plenty of vegetables, risottos, high quality, olive oil, processed goat cheese, as well as highly valued lamb specialties, fresh and dried figs and olives, nuts, and special desserts such as "rožata". Eating aboard a gulet in Zadar area can be very tempting for "gastronomads" and often guests on a gulet find themselves gaining a few pounds. There is also a selection of fine wines, known worldwide for their quality: especially indigenous Plavac Mali and "lozovača" and "travarica" (grape/herbs brandy). Pure hedonism! Gulet - What Type of Boat is That? 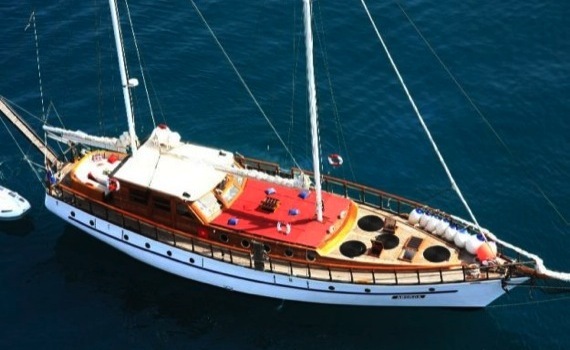 Gulet is a comfortable yacht made of high quality wood, using engine power and sails for navigation. Charter gulets usually have 3-8 cabins, accomodating up to 16 guests. High ceilings, wide corridors, comfortable cabins, spacious indoor salon with galley and bar, and plenty of space in outdoor areas all offer comfortable, romantic cruising for a merry crowd. Nowadays, they are equipped with high-tech facilities, including air-conditioned cabins, entertainment amenities, fishing equipment etc. They have experienced and very professional crew who take care of your safety and provide you with comfort. Skilled chefs prepare wonderful meals reflecting local cuisine. Enjoy wonderful panoramic view, comfortable accomodation and impressive large deck of this beautiful 6-cabin gulet. Enjoy sailing, sunbathing or relaxing under the sun tent on this fully equipped gulet taking up to 12 guests. All cabins air-conditioned. 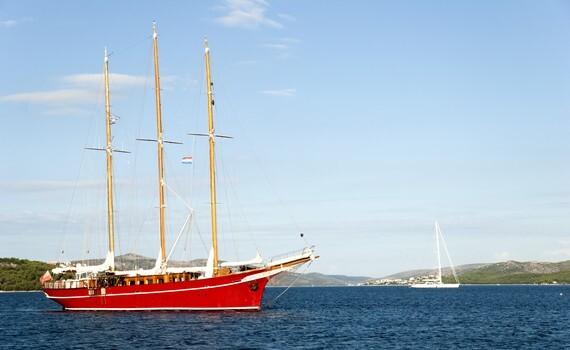 Explore the Adriatic on this beautiful, luxurious, high quality built 7-cabin gulet taking up to 14 guests. The gulet is 33 m long. 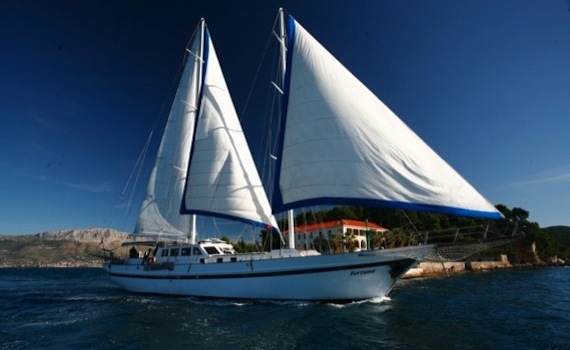 Gulet cruises seem like the most attractive option for a sailing vacation in Zadar? 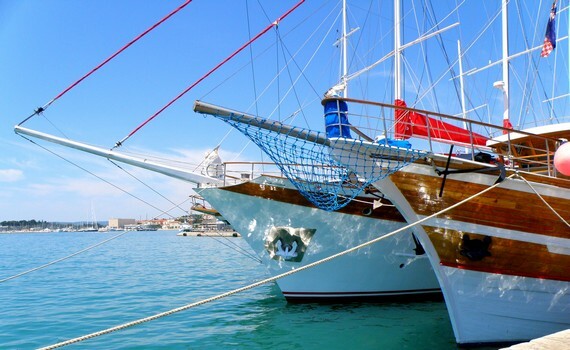 Explore Gulet Cruise Selection, our specialized page on gulet cruises, discover how to find the best gulet for a perfect cruise, get acquainted with the yacht's features and get a glimpse of a typical day aboard this amazing yacht. You can also read about what to expect in terms of cuisine on a gulet cruise and discover the top spots for gulet charter.